Lingual braces are completely invisible form the outside. There is no aesthetic impairment. The appliance is custom made for you, so that each bracket and wire is made only to fit your teeth. High quality professional laboratory processes take this fact into account by the creation of an individual target set up. This is used as a basis for designing and optimising the appliance. 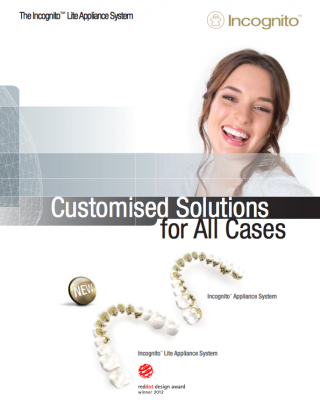 How does Lingual orthodontics compare to the other brace systems? Where are the braces placed? 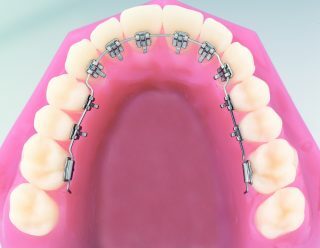 These type of braces are different to the conventional braces which are attached to the outside of the teeth – These are different! 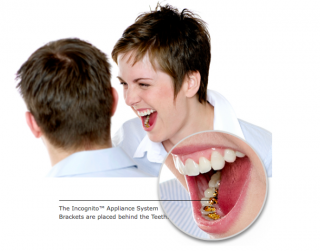 Hidden IncognitoTM Braces move your teeth without anyone noticing because they are on the inside of your teeth. All steps of the procedure might cause some discomfort but this is usually temporary and doesn’t last for a long time. After every adjustment, you may experience a feeling of tension in the mouth as with all braces. 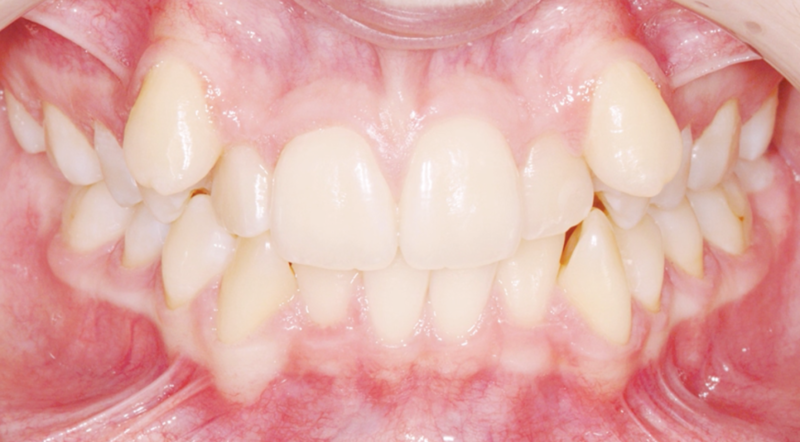 Do “hidden” braces require a high level of maintenance? No. Caring for your Incognito braces will quickly become a natural part of your regular routine. 128 harley street dental suite is equipped to provide you with the exact instructions and valuable tips that you might need. Will wearing the braces affect my ability to speak? How long it takes to become accustomed to the change will vary from person to person. Initial difficulties, if any, usually affect the tongue and pronunciation due to the position of the brackets on the front teeth. Experience shows, however, that these symptoms improve after a short time. Treatment times will vary from person to person, depending upon your treatment plan. Incognito braces are as individual as you are. That’s why the duration of treatment differs from one person to the next. Particularly at the beginning of treatment, the first signs of success can be seen very quickly. Your orthodontist will generally check the progress of your treatment every four to six weeks. You don’t need to be referred to an orthodontist by your dentist for a consultation, you can self-refer. Incognito™ Orthodontic Braces – Invisible to the onlooker! 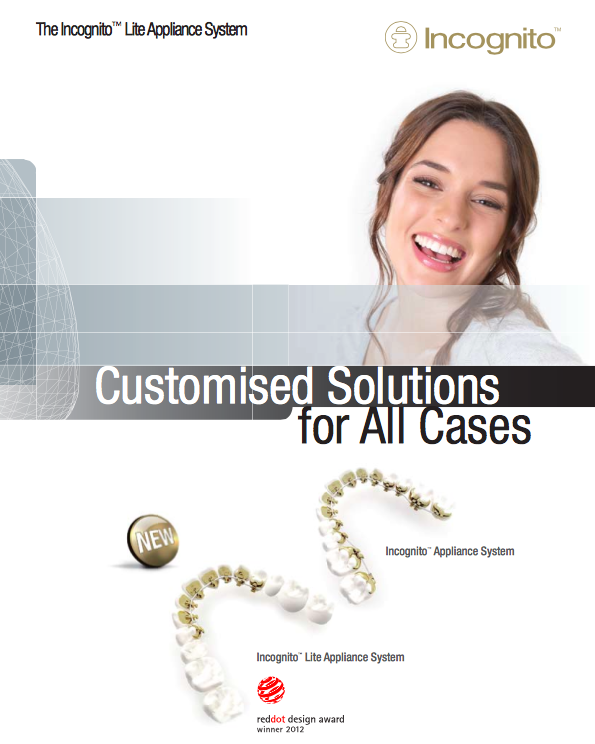 That’s sure to start with: Incognito™ Braces have you wearing custom-made, perfect-fitting braces that nobody can spot. Except if you let on. Braces with no traces! Incognito™ Braces attach to the back side of your teeth, so they can’t be spotted from the outside. Modern technology to make Incognito™ Braces perfectly match your teeth. Each brace is produced individually for you, so you are wearing perfect castings – for a really exclusive mouth. Incognito™ Braces are designed to be extremely flat. You’ll be shown how to brush your teeth and keep your mouth clean. Though they attach to the back side of teeth, Incognito™ Braces work just as efficiently. So normal treatment duration doesn’t get any longer with these braces. 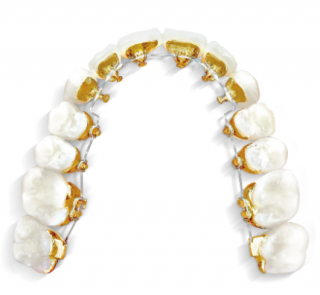 Incognito™ Braces are made from a gold alloy. So they are just right for people allergic to nickel. For a completely hidden solution, Lingual orthodontics could be the solution you are looking for. 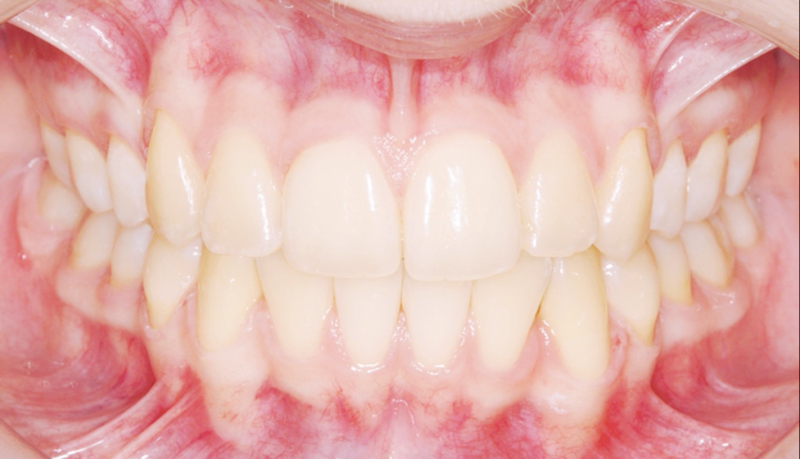 It corrects misaligned teeth, using fixed braces, “glued” or bonded on the inner surface of the teeth. A lingual brace work in the same way as conventional fixed braces also known as “train tracks”, with full control and movement of the teeth, but is completely hidden and the only person who knows you have a brace is you and those around you who’ve been informed. Lingual braces can be for everyone, if you have healthy gums and bones. With Lingual braces, if you are an adult or adolescent, there are individual solutions to individual problems. At 128 Harley Street Dental Suite, we first screen for any dental problems and check your suitability for these types of braces. The lingual brace is made of individual components that are “glued individually” to the teeth and is completely custom-made for you. 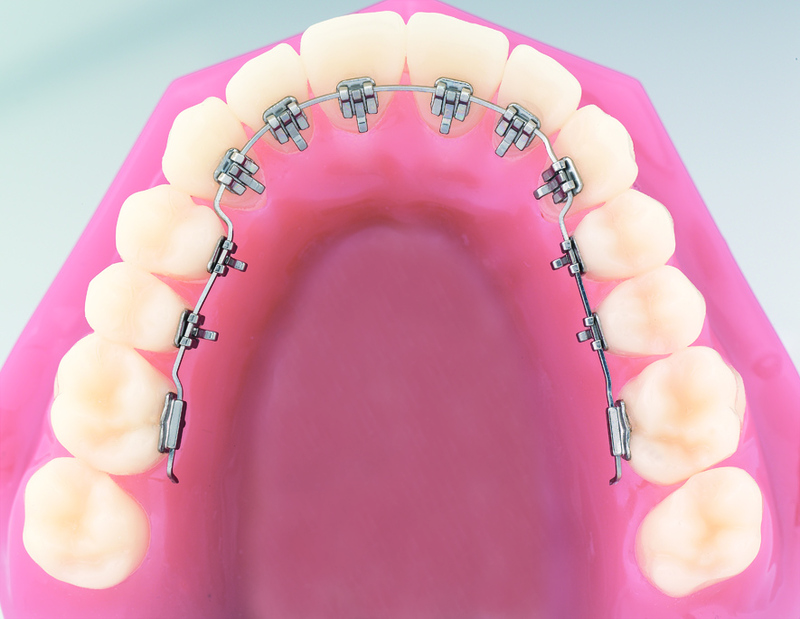 A customised-wire complements the rest of the braces and provides the planned tooth movements. “Train track braces” on the outside is not everyone’s choice and this is why many patients avoid opt for this type of therapy. *similar to the Forestadent 2d lingual brackets that many people have heard about.